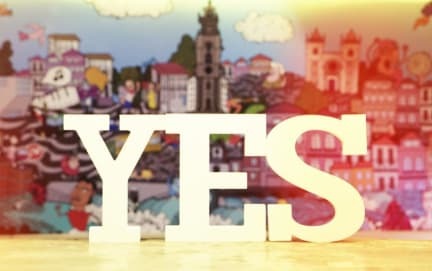 Hostelworld guests have said Yes! 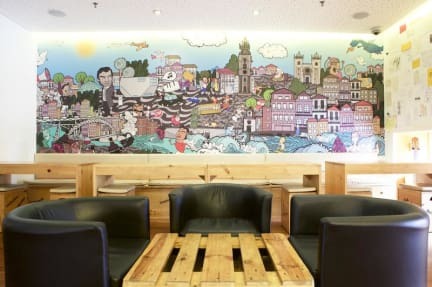 Porto Hostel is in 'a great spot to start discovering the city'. It's set in the very centre of Porto, just five minutes' walk from Palacio da Bolsa and the river. This hostel features secure under-bed lockers with a shelf and reading light at each bunk. The friendly and helpful staff have great suggestions for local things to do and guests can also go on highly recommended free walking tours. Had a lovely stay at this hostel. The staff were very helpful and pleasant to talk to. Rooms, bathrooms, and showers were very clean. Large drawers that easily fit larger backpacks with power outlets and lights in the bunk. Location was excellent and allowed for easy wandering around town, as well as easy access to the train station for day trips. I’ll definitely be staying here again the next time I’m in Porto. Amazing! Really good vives! Great location and the special dinners are so cool. I Will be back! Amazing hostile with friendly staff! Gave us recommendations on places to eat every day and were very helpful. Location was great and close to everything. The walking tour that started at the hostile was great and so was the pub crawl. Met a lot of great people on this trip. Porto is our new favorite city now. This was by far the best hostel I have ever stayed at. The staff was so nice, they had things going on everyday, the rooms are not too big but not too small, the bathrooms are extremely nice, and the overall experience was one of the best of my traveling days. I recommend this highly! Great location as well.